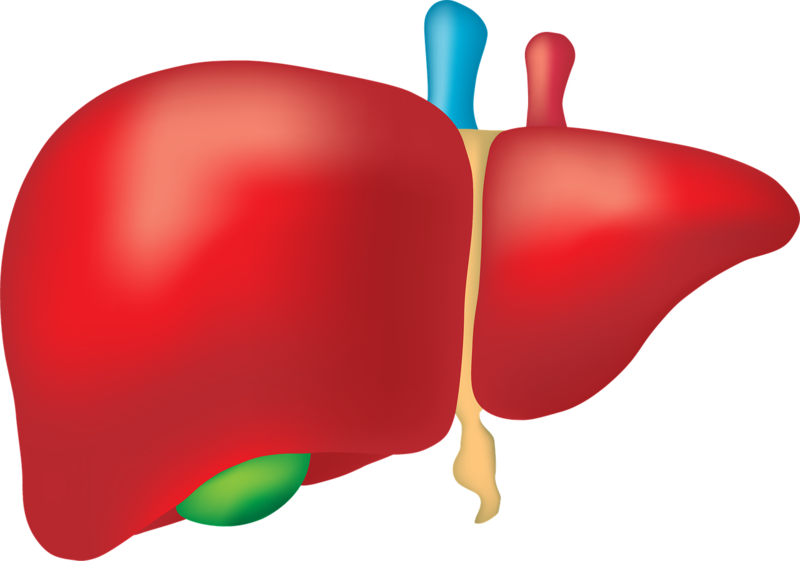 The liver is the largest organ responsible for numerous metabolic functions in the body, such as: for cleaning our blood (removal of toxins and dead cells), for synthesizing glucosides and fats and for the regulation of metabolism. It also stores various substances such as vitamins A, D, K and E, which are important to gain energy. However high-fat foods, alcohol, and viruses cause heavy problems to it. The constant fight against toxins in the body overloads the organ over time that it becomes susceptible to diseases and if this goes unnoticed for a long time, it sustains damage in the long run - even to total failure. The proper functioning of this organ is of the utmost importance to our health. Therefore, it is good to immediately detect any symptoms that may indicate liver problems. So, how can one recognize a liver weakness and with which liver symptoms should one consult a doctor? This is the first symptom of liver problems. Often there is nausea and a feeling of fullness after eating. But you do not have to panic right away, because nausea can be caused by many factors. However, if it does happen more often then you should consult a doctor. Fatigue can be a typical sign of liver dysfunction. Since fatigue also occurs in many other diseases, fatigue alone is no indication. Weakness and listlessness can also indicate a normal state of exhaustion. However, in combination with other symptoms (such as those mentioned here), this may be a liver disease, so, be sure to talk to your doctor about it. Do you often have high pressure or pain in the upper abdomen(just below the ribs)? Then this could be due to the liver. This pain can radiate to the back. Flatulence, heartburn, fever, etc. can also occur. If these symptoms occur, you should consult a doctor. It can also be an inflammation or a biliary colic. Jaundice manifests itself by a discoloration of the skin. It comes to a yellowish tone, especially in the face, but also on other parts of the body. Jaundice results from an excess of bilirubin (in the body and in the blood), which is caused by a problem with the liver. Jaundice is one of the first symptoms associated with infectious hepatitis. Fever can occur with severe abdominal pain, bloating and tiredness. If these symptoms occur, you should often measure the temperature. Fever indicates an infection or inflammation. Itching is caused by a backflow of bile. Bile acids accumulate in the blood, leading to deposits in the skin that cause itching. If you suffer from a sudden itching all over your body, you should tell your doctor. Common to all liver patients is the lack of appetite. Many patients with liver disorders eat too little and lose weight continuously. It is important that these symptoms are recognized because sometimes they become visible only too late. Due to the increased accumulation of water in the body in liver ailments, lack of appetite is often diagnosed relatively late. A less common symptom, but also associated with liver problems, is bleeding and bruising. Internal bleeding is recognized by the so-called tarry stool - the stool is darkened by the digested blood. If you notice this, you should consult your doctor immediately. All symptoms listed here are due to a problem with the liver. The doctor must make a diagnosis and decide whether it is a fatty liver, inflammation, hepatitis, etc. The symptoms of all diseases are very similar and only by a medical examination can this be determined whether from which liver disease we suffer from. How can you save your liver? A proper lifestyle with healthy habits and a healthy diet can help you to prevent various diseases of the liver. 1. Eat fruits and vegetables every day such as apples, kiwi, grapes, cherries, spinach, asparagus, radish etc. These help with liver cleansing. 2. Avoid fried foods, as well as frozen goods and large amounts of protein and carbohydrates. 3. Avoid drinks with sugar and carbon dioxide as well as alcohol. 4. Consume antioxidants : oranges, lemons, blueberries, tomatoes etc. 5. Take care when taking medication! They are big enemies of the liver. All mentioned are digestive plants, which help facilitate the process, avoiding the discomfort caused by its alteration. Either by slow digestions or by having eaten some food too much. 2. Mint will help to calm the abdominal swelling and gastrointestinal spasms that cause us so much discomfort. 3. Poleo improves digestion, besides being effective against abdominal pain, has antispasmodic properties and eliminates excess gas in the intestine. Always bear in mind that natural medicine also has contraindications, never abuse any medicinal plant and inform yourself before consuming any. Also, do not perform long treatments without medical supervision. Our body works as a team and needs all the components to fulfill the essential functions of life. Eat healthily, drink water, exercise regularly. And preventively go to the doctor's office periodically, every disease will have a much better prognosis with an early diagnosis.